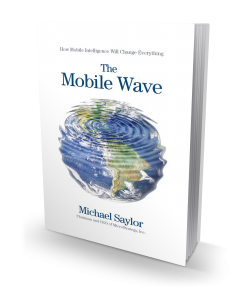 In the tradition of international bestsellers, Future Shock and Megatrends, Michael J. Saylor, CEO of MicroStrategy, brings The Mobile Wave, a ground-breaking analysis of the impact of mobile intelligence—the fifth wave of computer technology. The Mobile Wave argues that the changes brought by mobile computing are so big and widespread that it’s impossible for us to see it all, even though we are all immersed in it. Saylor explains that the current generation of mobile smart phones and tablet computers has set the stage to become the universal computing platform for the world. In the hands of billions of people and accessible anywhere and anytime, mobile computers are poised to become an appendage of the human being and an essential tool for modern life. A Harvard education will be available to anyone with the touch of a screen. Cash will become virtual software and crime proof. Cars, homes, fruit, animals, and more will be “tagged” so they can tell you about themselves. Buying an item will be as easy as pointing our mobile device to scan and pay. Land and capital will become more of a liability than an asset. Social mobile media will push all businesses to think and act like software companies. Employment will shift as more service-oriented jobs are automated by mobile software. Products, businesses, industries, economies, and even society will be altered forever as the Mobile wave washes over us and changes the landscape. With so much change, The Mobile Wave is a guidebook for individuals, business leaders, and public figures who must navigate the new terrain as mobile intelligence changes everything. 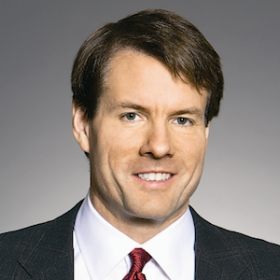 Michael Saylor is the chairman and CEO of the publicly traded company MicroStrategy. With degrees in engineering as well as Science, Technology, and Society from MIT, he is a science historian, and a formidable intellectual whom Slate called “mesmerizing.” He is not just a high-tech entrepreneur, but also a serious scholar whose success in business stems from his obsession since college—and really since childhood—with understanding what Thomas Kuhn called the “structure of scientific revolutions.” He has appeared on TV interview shows including 60 Minutes and Charlie Rose, and has been profiled in Newsweek, Time, Slate, The New Yorker, and The Washington Post.